Soaking in a hot thermal bath or taking a dip in a swimming pool is an important part of Icelandic culture. 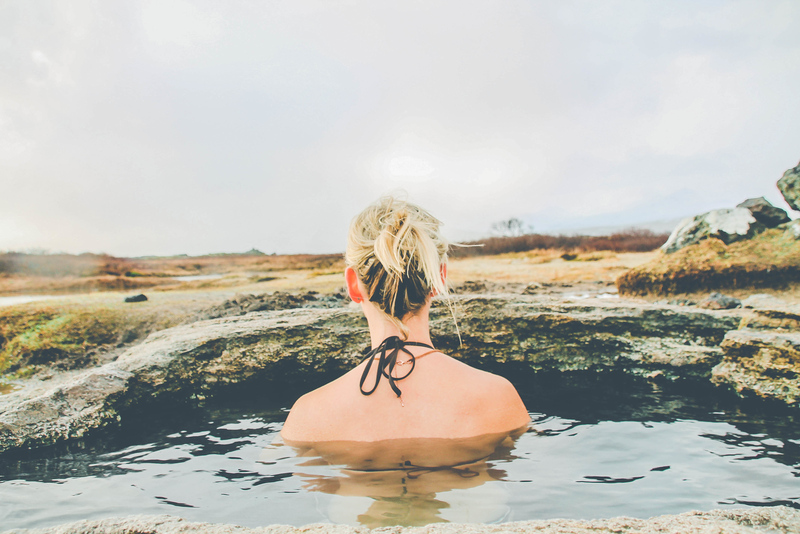 Not only do the geothermal waters (naturally heated water) offer therapy but an outdoor soak is a recreational activity that many locals enjoy. 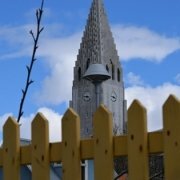 In Reykjavík (Iceland’s capital) there are 17 public swimming pools but nearly every town in Iceland has at least one. And although the luxurious Blue Lagoon is one of Iceland’s most popular geothermal pools, there are many Blue Lagoon alternatives to check out including hot springs and swimming pools. Did you know that learning how to swim is mandatory in Iceland from the ages of 6-14! 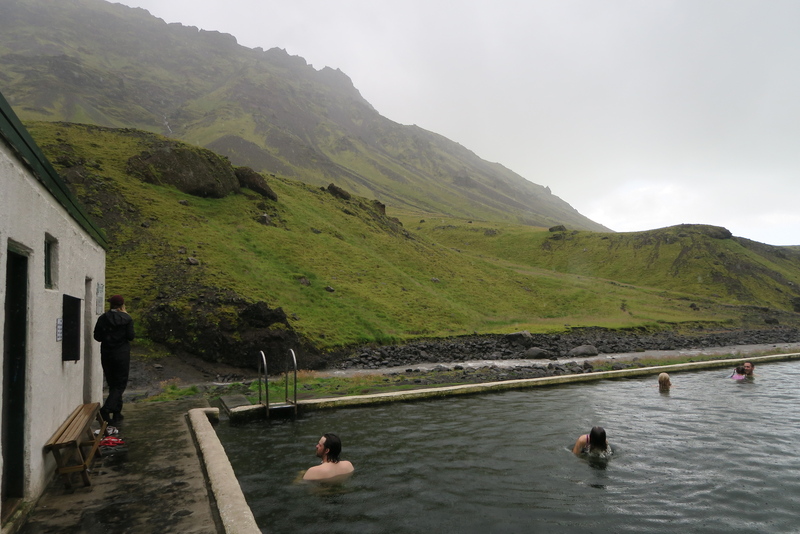 Natural hot springs (hot pots) in Iceland are sourced from geothermally heated groundwater. Some hot springs are extremely hot while others are perfect to bathe in. 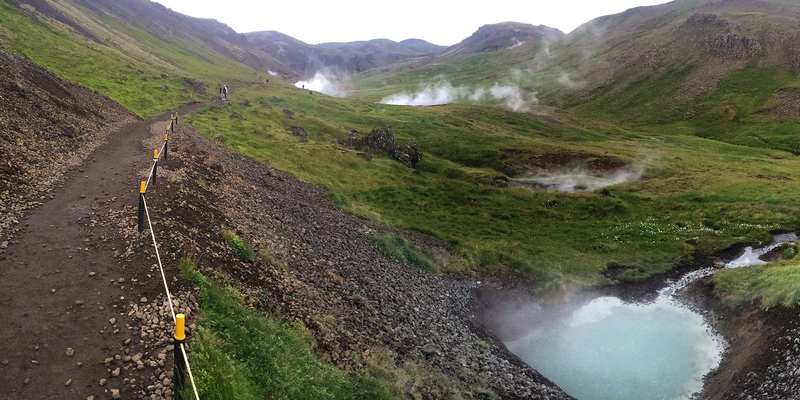 And while some hot springs in Iceland are easy to find, others may require a hike off the beaten path. Hot springs range from free to an entry fee which usually includes access to on-site changing rooms and showers. Swimming pools (sundlaugs) are open year round. They are often outdoors and heated with geothermal water. 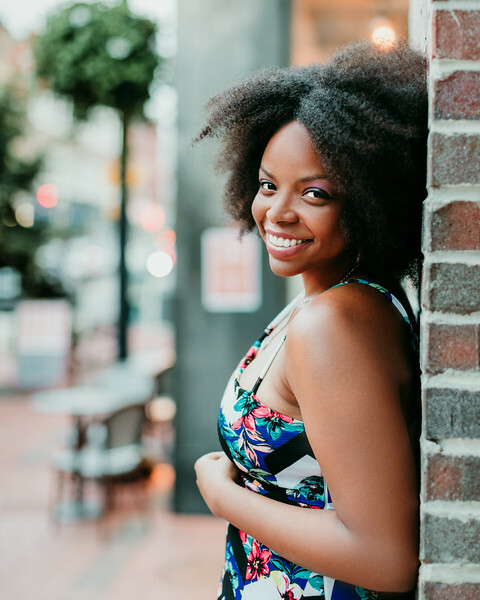 Although some lack the spa-like amenities, many feature hot tubs and cold tubs, water slides, wave pools, steam baths, a jacuzzi, and saunas. New research shows that swimming pools are a lot cleaner than the natural hot springs since they use chlorine. Need help finding a hot spring or swimming pool in Iceland? Hot Pot Iceland has a comprehensive list! 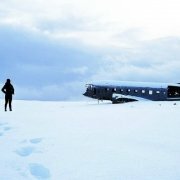 If you are on a budget and plan to skip the Blue Lagoon (I’ve skipped the Blue Lagoon twice so far) but you do not want to skimp out on experiencing a warm outdoor soak in Iceland, plan to visit these less expensive (but quality) Blue Lagoon alternatives where you can unwind, socialize, and admire the landscape. Vesturbæjarlaug is a traditional outdoor thermally heated swimming pool in a suburban neighborhood right outside of Reykjavík. Although it’s a lot smaller than the other popular swimming pools in town, it offers plenty including two outdoor pools, six hot tubs, one cold tub, two saunas and a steam room. Highly recommended by my CityWalk Reykjavik guide, Vesturbæjarlaug is a local swimming pool where locals hang out. Less than half an hour walk from the city center, I enjoyed Vesturbæjarlaug’s hot tubs and steam baths for 900 ISK ($8 USD). Before entering the pool I had to shower naked in front of other female patrons but it was totally fine. Although this was one of the most relaxing experiences I had in Iceland, I must warn you, be ready to run for your life when you’re getting out of the water! 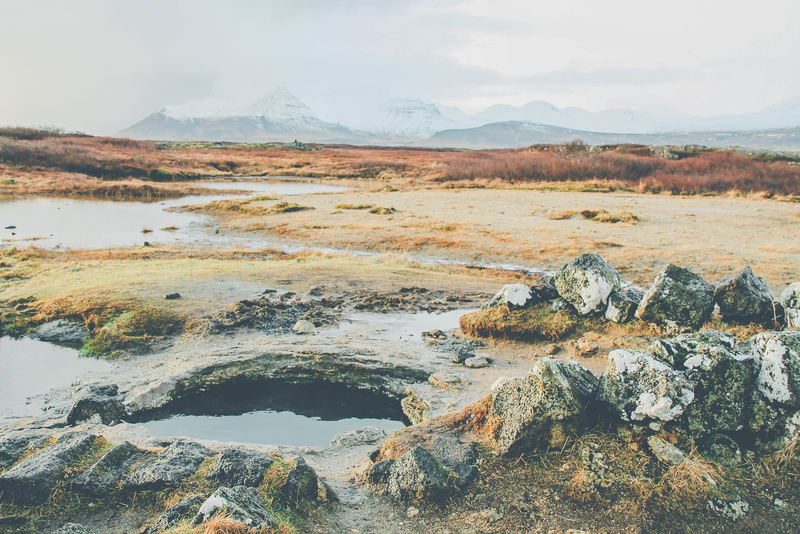 Tucked away in the Snæfellsnes peninsula, the all-natural Landbrotalaug thermal pools are a stunning, affordable and a secluded alternative to the infamous Blue Lagoon. Just 40 km away from Borganes and a stone’s throw from the Gerðuberg Cliffs, you will find the turn off for Landbrotalaug. At first glance, the hot pool appears to be a communal spring with a pipe feeding water into it. However, what makes Landbrotalaug so special is its hidden, smaller hot pot on the opposite side of the parking lot. The secret hot pot is the perfect size for the solo traveler, making it a great option to unwind after a long day of driving, or warm up before bed while watching the northern lights. In fact, I enjoyed it so much during my first visit to Iceland that I went again on my second visit. 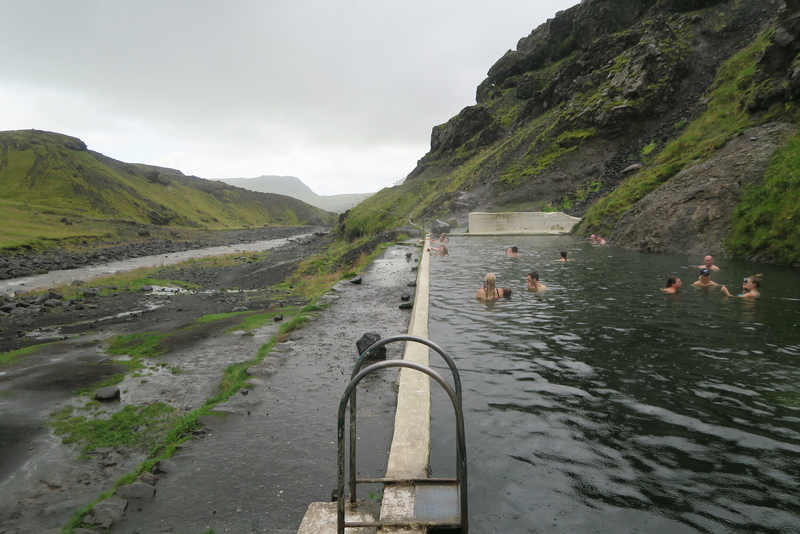 Since Landbrotalaug is a natural thermal hot pot, there is no fee to access the area. There is currently no sign to indicate whether the property is privately owned or wildland but it is important to be mindful of preserving the area and leaving it as it was found. Having a swim in Seljavallalaug pool has been on my bucket list for a long time. 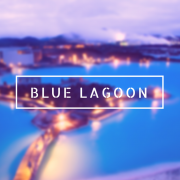 It’s a fantastic Blue Lagoon alternative because it has a 5-star hotel view, yet it is completely free to visit. You will need to get off the main Road 1 and drive on 242 for a short while until you find a small parking place. It will be a bumpy ride, but well worth the effort! From here you can set off on a 15-minute hike to the pool. You will be amazed by the scenery. A gorgeous river is flowing next to the trail and you are surrounded by mountains and numerous waterfalls. There are some changing rooms at the pool, where men and women change in the same room. Unfortunately, these changing rooms were in terrible condition. Lots of rubbish and mud! This didn’t deter us from having a dip in the pool. It was a rainy day on our visit and it was quite chilly, however, the water was a very pleasant temperature. We splashed around in the water for about 30 minutes. It was great fun in a truly magical spot! 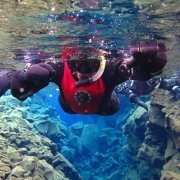 I highly recommend visiting Seljavallalaug pool, it is a truly unique experience! Just 30 minutes east of Reykjavík lies the town of Hverager∂i, a quaint little town known for its greenhouses. Although for me, it’s known for the little slice of paradise just north of it. 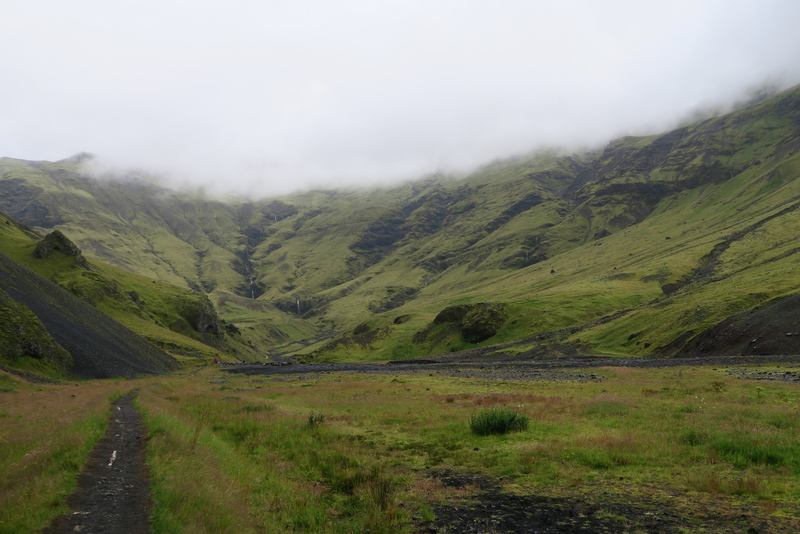 Take the main road of Brei∂amörk all the way to the end where you’ll come upon the Reykjadalur trailhead. The route is mainly gravel, so be sure to have hiking shoes or some solid runners on your feet. It’s a bit of a hike, but trust me – it’s worth every step and stumble. The 3 km trail (round-trip) winds you through beautiful landscapes with a new breathtaking view at every turn. You’ll also spot a little waterfall along the way! Eventually, you’ll come upon the amazing natural hot springs and if you’re lucky, you just might have them to yourself. The higher up the river you go, the warmer the water is from the springs! Quickly peel off your clothes and hop in as the wind can be chilly in Iceland depending on what time of the year it is. Oh, and bring an extra towel as it’ll make changing a little easier later on since there are no change rooms here! Trust me though, you won’t mind as you enjoy the beautiful nature that surrounds you. What’s your favorite Blue Lagoon alternative in Iceland? 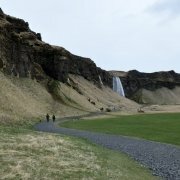 FREE spreadsheet download of my May 2018 expenses during my 3rd trip to Iceland. You'll also get regular emails by joining the list. Success! Now check your email to get your download. Iceland Food Costs: How Much Does Food And Drink Cost In Iceland? It sounds like you had an amazing time.It’s so good that the hotel gives you a northern lights wake up call. Great alternatives! 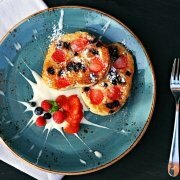 I haven’t been yet, but definitely will add these to the list! Great suggestions. I’ve been to a few of these and I can’t recommend Reykjadalur enough. It was the highlight of my first trip to Iceland… I couldn’t believe you could just walk up a valley and soak in a hot river!